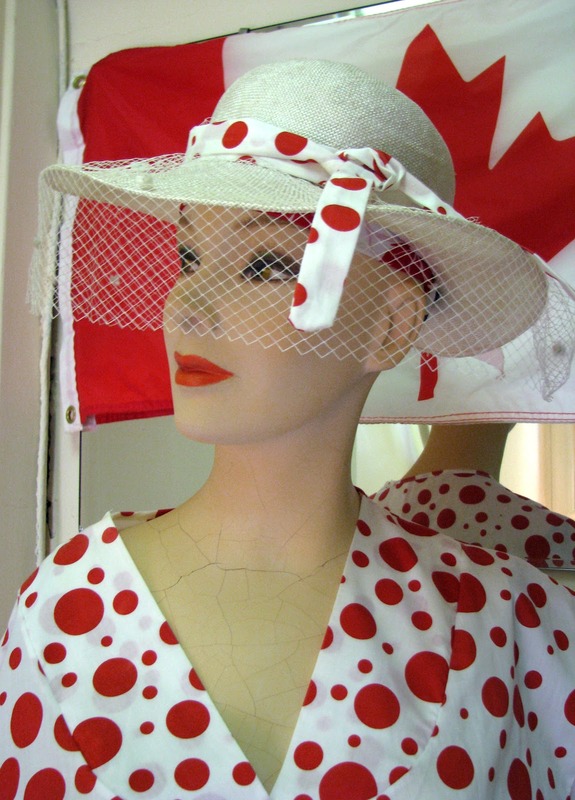 Forest City Fashionista: Happy Birthday Canada! I wore my new Vivienne Westwood-designed Melissa sandals. I fell in love with the heart shape and they were marked down to less than half price. 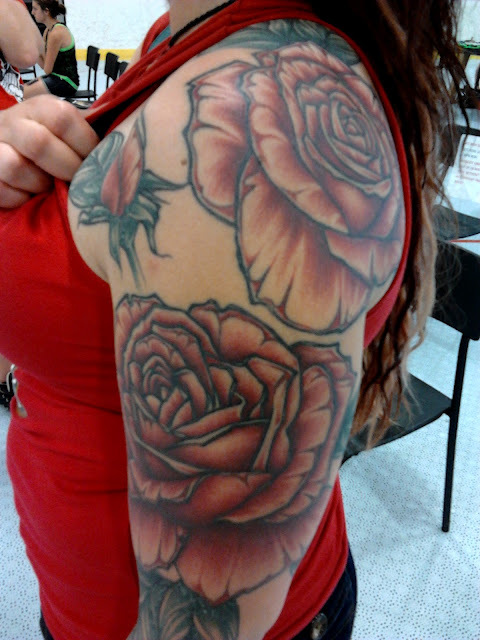 This young woman, who used to play with the Guelph team, had the most glorious rose tattoos. Happy Holiday! I LIKE your new sandals. 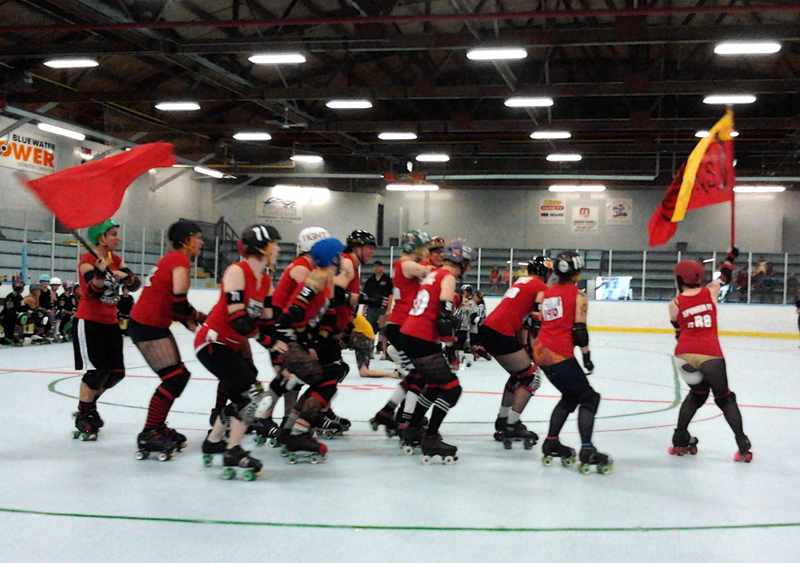 And isn't watching Roller Derby fun. It always brings out a side of me that I scarcely knew was there. Great ode to red and white! Wonderful sandals too. Did you see The Fashionable Bureaucrat? Check out her shoes... I love Melinda's dress and the display outside the store. Netting on a hat...aaah. Happy Canada Day gorgeous girl! I am so in love with your sandals it is beyond words ! Happy Canada Day! 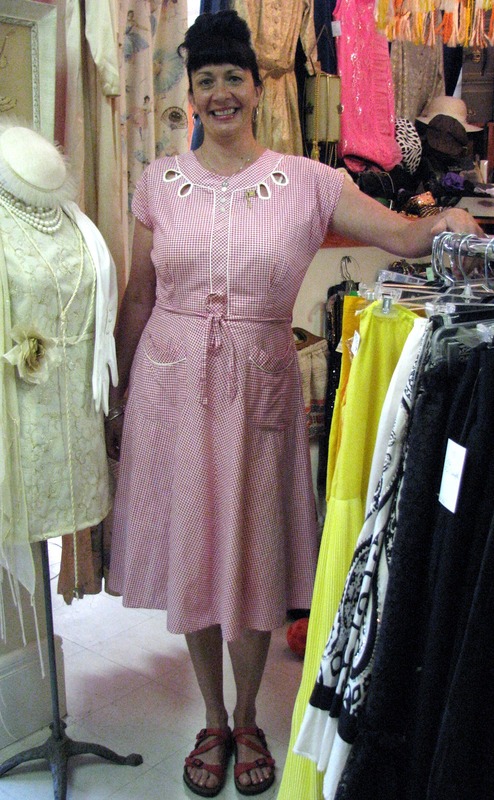 I love her vintage dress and your sandals. Big hearts! 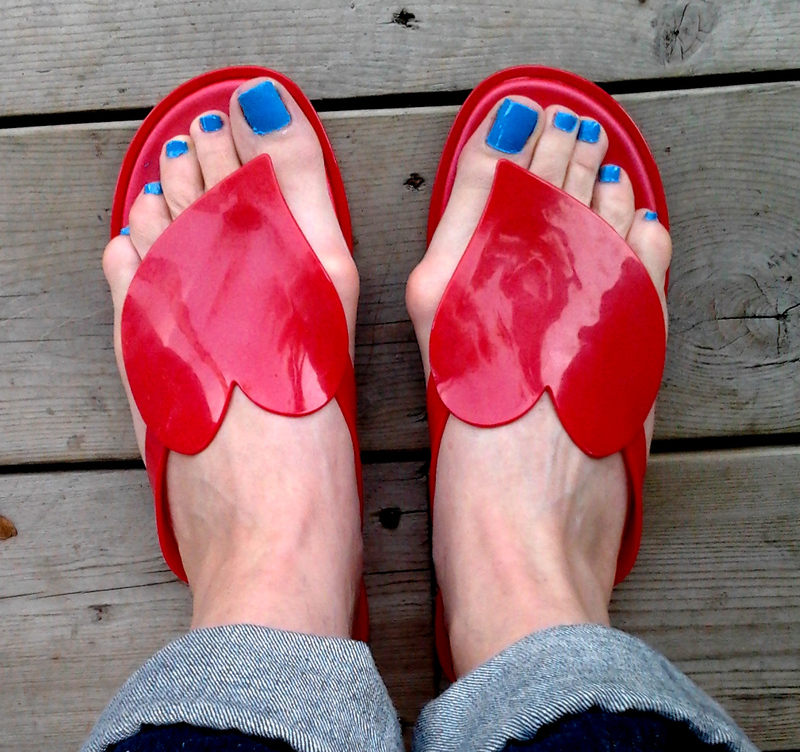 Stunning red sandals with blue polish and Happy Canada Day to you! Love the Melissa sandals. Not only do they look terrific, they also smell like candy! Your pedicure shows them off to full advantage. Fab! And the roller derby tattoos are quite excellent. You should ask Roses the story about her tattoo ... and what she's going to do with it! It's a fabulous tale (but I don't want to give it away)!